An attention grabbing name: Staple/face – check. Win a coveted award: So You Think That’s Funny? best new sketch act award 2013 – check. A year on, are Staple/face still hitting their check marks? 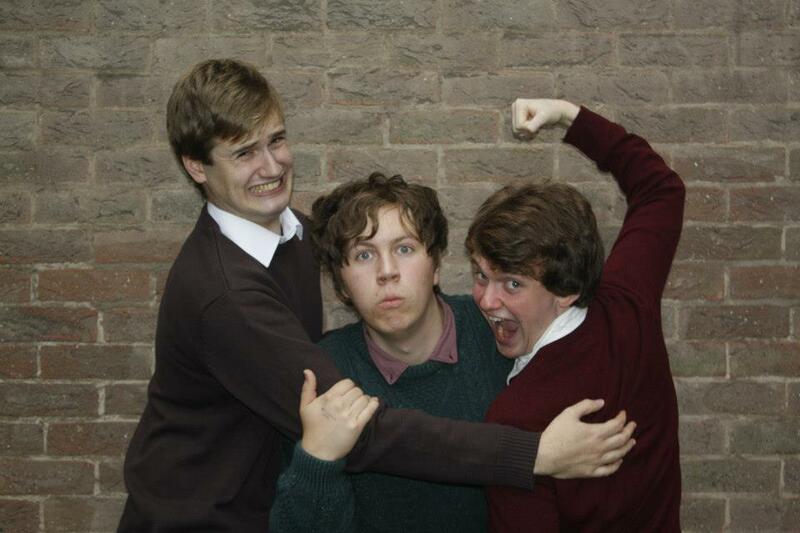 Sheffield University alumni Staple/face are back at the Gilded Balloon. Mike Bentley, Tom Burgess and Sam Nicoresti are sweating freely under the lights in a small airless room. Energy and enthusiasm comes as standard with young sketch groups and Staple/face are no different. They could have been playing a stadium. The trio got off to a big, noisy and funny start. Thereafter, variety was the order of the day. Solo spots, two-handers and threesomes. Silly stuff, frantic stuff and witty stuff. With pacey change-overs and segues, there was barely enough time for the appreciate audience to cram their laughter in. Unusually for a troupe, the best written and performed sketches were solo spots. Both Sam and Tom played recurring characters and their growing familiarity ramped up the laughter. In a high quality set, with a strong emphasis on clever word play, two quickies featuring bodily fluids seemed out of place. Both sketches brought all three performers on stage together, which was perhaps the thinking behind their inclusion. A year on from So You Think That’s Funny? Staple/face performed a couple of sketches from their winning set. In the world’s biggest comedy marketplace, it felt like a missed opportunity to showcase new material. Caveats aside, Staple/face are developing fast and well on their way to cementing their place among the best sketch comedy troupes on the circuit.